The story centers around Momona, a girl who attended the wedding ceremony of her big brother whom she adores. 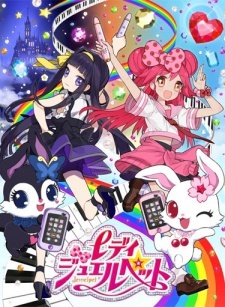 However, she is whisked away by a cute rabbit-shaped Jewelpet Ruby, and before she knew it, she is in a Jewelpalace where potential candidates to become a Lady have gathered. "Momona was selected by Ruby as the best female Ladyjewel candidate for the Queen of Jewelland!?"